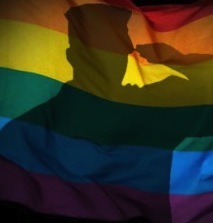 Congressman Mark Pocan (D-WI) & Congressman Charles Rangel (D-NY) have sent a letter to Chairman Mac Thornberry requesting the House Committee on Armed Services hold a hearing on the challenges faced by gay, lesbian & bisexual service members who were discharged from the military on the basis of their sexual orientation. The letter states, “Unfortunately, too many service members still bear the scars of this discriminatory policy. Since World War II, more than 100,000 individuals are estimated to have been discharged from the military due to their sexual orientation. Today, the records of thousands of gay, lesbian & bisexual veterans are tarnished with discharge statuses other than honorable. This status affects both their access to benefits they have earned from their service & their opportunities in civilian life, potentially hindering employment opportunities and the right to vote. Even those discharged under “Don’t Ask, Don’t Tell” who received an honorable discharge status risk facing discrimination & a violation of privacy because the Narrative Reason for their discharge may include “Homosexual Conduct,” “Homosexual Act,” or “Homosexual Marriage.” Representatives Pocan & Rangel previously introduced the Restore Honor to Service Members Act in July 2015, which would help service members discharged solely due to their sexual orientation correct their military records to reflect their honorable service & reinstate the benefits they earned. The Restore Honor to Service Members Act has 113 cosponsors, including 4 Republicans, in the House & 38 cosponsors in the Senate. There MUST be a hearing about this....for opportunity for benefits, fair and representative reputations, and all that is endowed on those who serve our country. AND action must be taken now to reverse the horrible damage to those who continue to suffer inequality of opportunity due to ignorance and prejudice and fear-based decisionmaking.